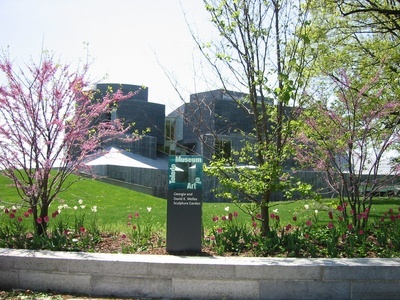 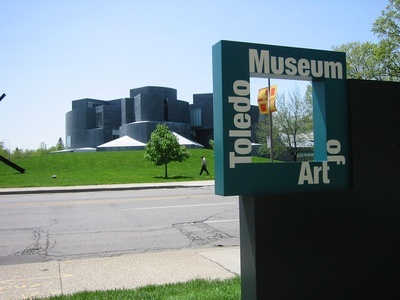 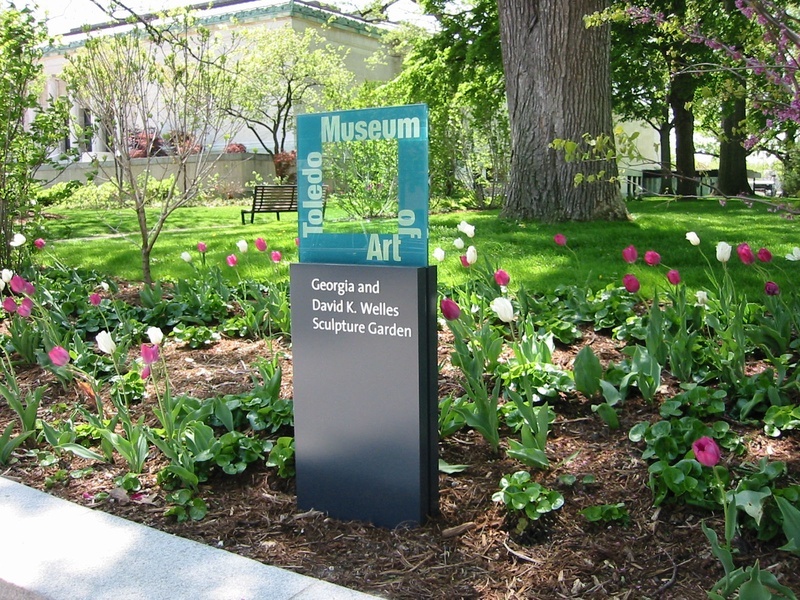 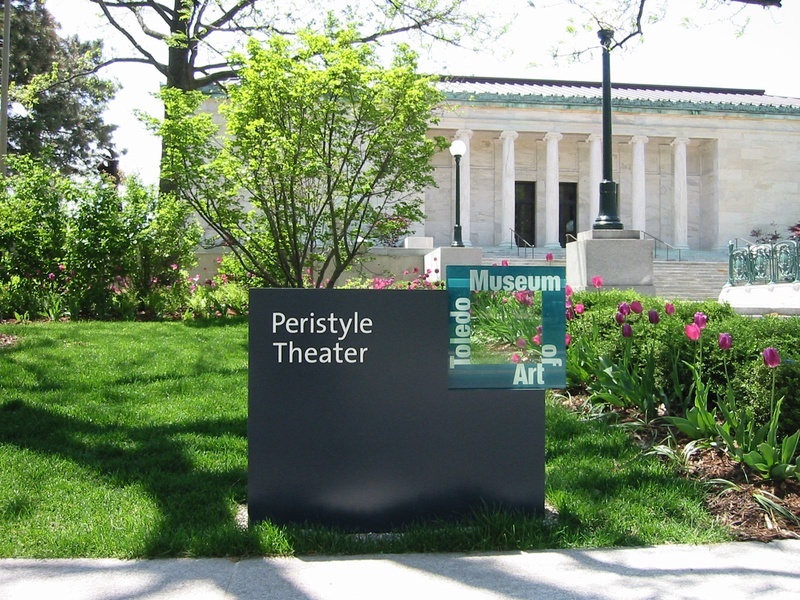 The sign system uses the Museum's "frame" logo to focus attention on landmark historic and contemporary architecture and noteworthy sculpture. Monolithic signs are crafted from leaded steel, used on many of the Museum's buildings, and Libbey Glass, a local company run by the Museum's founder. 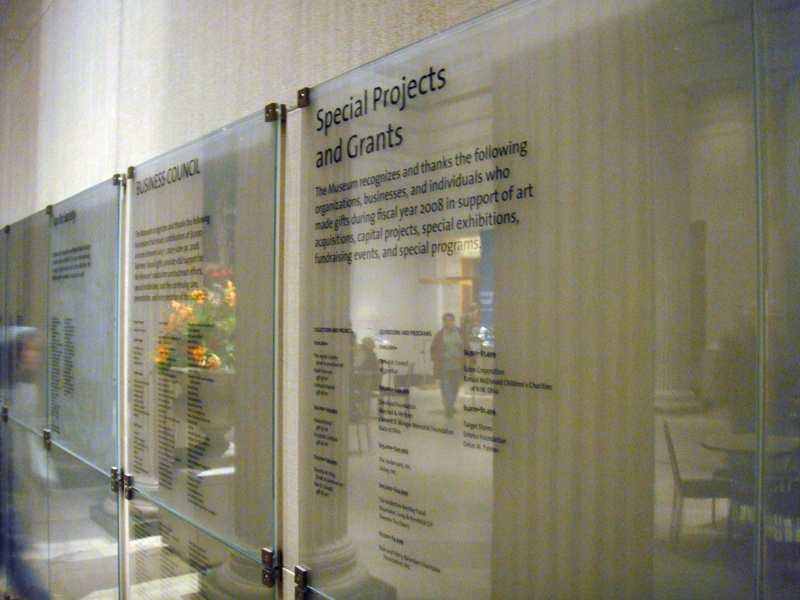 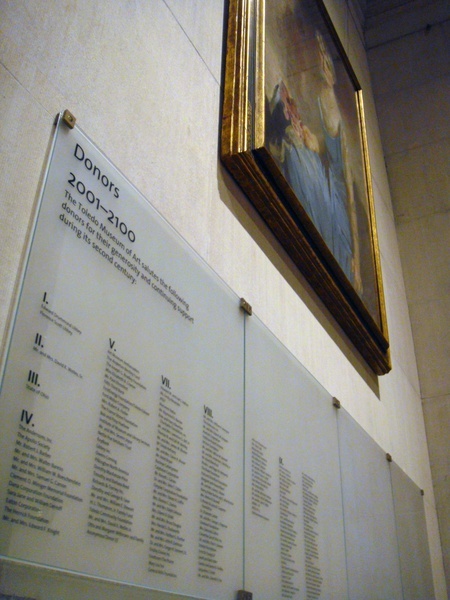 The sign program was part of a broad initiative to create a new image for the Museum's print and electronic graphics as well as honor past and current donors with a ceremonial donor hall. 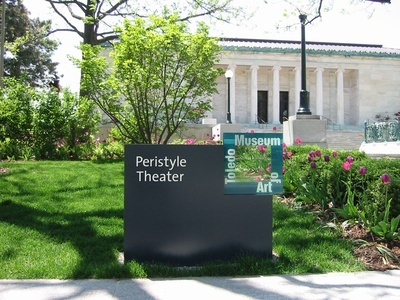 The exterior sign system is integrated into a campus that features Greek Revival and contemporary architecture by Frank Gehry & Partners and SAANA.